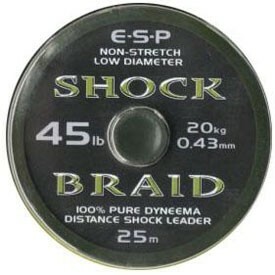 ESP Shock Braid- When long range casting with big leads or spods i'ts safer and more efficient to use 45lb ESP shock braid as a leader. FREE Delivery on all Drennan Hooklength / Shockleader / Braid over £100!! !